Institutional Language and Discourse in International Organizations is a corpus-based research which explores the ideational and interpersonal dimensions of the meaning-making process in a number of periodical reports published by three international organizations FAO, WHO and the WTO. In particular, the text type profile of the reports and the handling of the linguistic and pragmalinguistic categories of modality and person are examined. A genre-analytical perspective aiming to identify regularities in the cognitive-rhetorical pattern and to uncover possible signs of interdiscursivity is integrated into a fundamentally text-grammatical and systemic-functional approach. Research findings confirm the underlying hypothesis that while obviously serving the communicative purposes of raising awareness and soliciting commitment on the part of an envisaged universal readership, these texts also perform an image-building function in that they turn the representation of any failure in the achievement of institutional aims into a global challenge facing the organizations as well as the International Community. 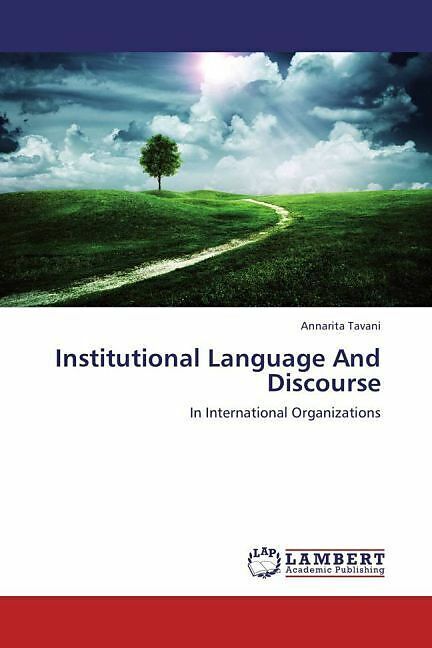 The author holds a Masters Degree in Modern Languages from Università Cattolica, Milan, and a PhD in English Studies (Linguistics) from Università degli Studi, Milan.Her research interests are mainly in the field of institutional communication.